Firstly, I’d like to apologise for rickrolling you all yesterday. I would LIKE to, but I can’t — it was just too funny to witness. In the final two years at German gymnasiums (the highest one of our secondary school types), every student has to do a (graded) practical group project. Our school is known for its superb dancing groups, which are formed of one third of the students (voluntarily! 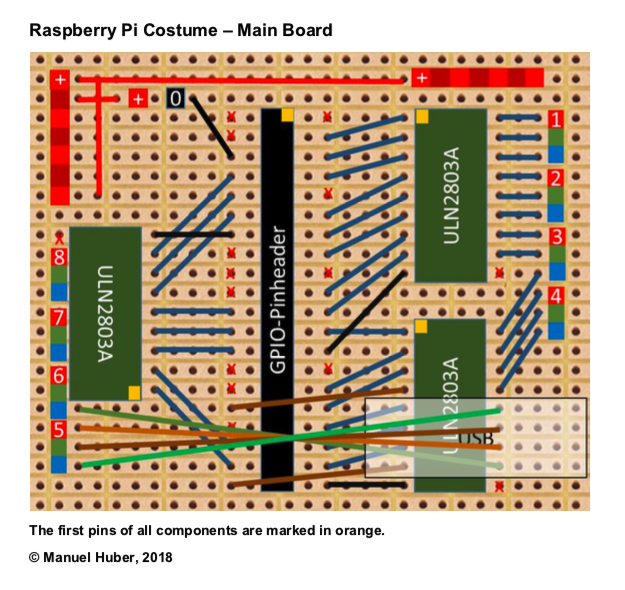 ), so our computer science teacher suggested to make animated costumes for our big dancing project at the end of the school year. Around 15 students chose this project, firstly because the title sounded cool and secondly because of the nice teacher 😉. Let me just say how lovely it is that students decided to take part in a task because of how nice the teacher is. If you’re a nice teacher, congratulations! 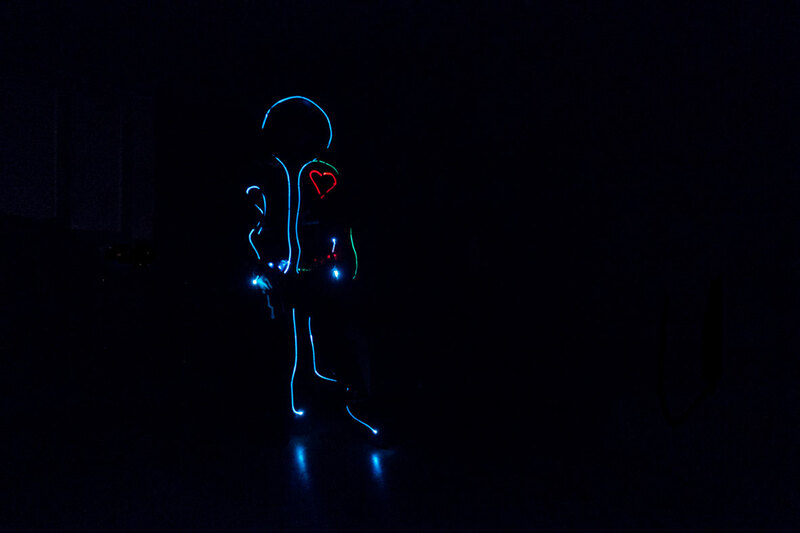 The students initially tried using Arduinos and LED strips for their costumes. After some failed attempts, they instead opted for a Raspberry Pi Zero WH and side-emitting fibre connected to single RGB LEDs — and the result is rather marvellous. To power the LEDs, we then had to shift the voltage up from the 3.3V logic level to 12V. For this, we constructed a board to hold all the needed components. At its heart, there are three ULN2803A to provide enough transistors at the smallest possible space still allowing hand-soldering. Using pulse-width modulation (PWM), the students were able to control the colour of their lights freely. The rest of the code was written during after-school meetups; an excerpt can be found here, along with a complete write-up of the project. NEVER EVER EVER apologize for the RickRoll. Second, where’s the video? I want to see them dance! Hi there, I’m one of the creators of those costumes and the author of the linked blog article. Unfortunately, we can’t provide a video of the costumes in action. GDPR, you know… The dance was not completely performed in the dark, some parts were illuminated and so the faces of the dancers would be visible. Trick or (the ultimate) treat!